Here at Handmade By Me, when we are not making lots of our own designs and products, we work with others to help them create their own, or we can also create them for them. 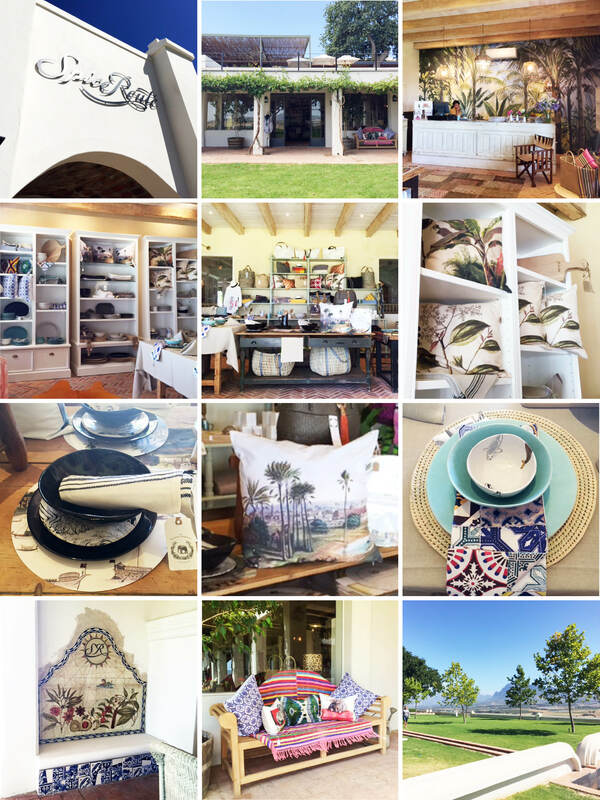 One of our most exciting projects that we have worked on recently, was to create a bespoke suite of decor products to sell exclusively at the brand new Trading Company shop at Spice Route wine farm. I was really lucky to work with some wonderful and really creative people on this, which made the project not only interesting for me, but lots of fun! 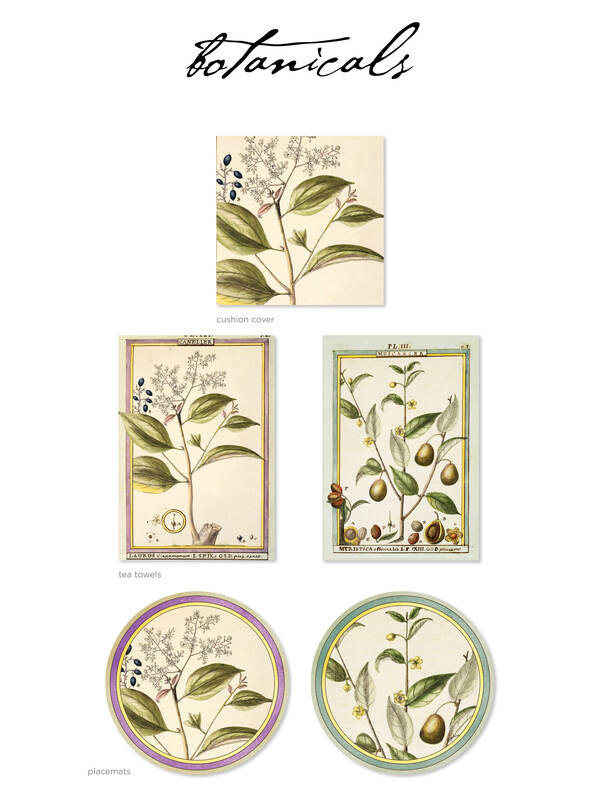 With the original spice trade and travel routes in mind, we worked with 3 different design themes where we created a range of products (cushion covers, tea towels and placemats) within each theme. The different themes we explored for The Trading Company were botanicals, particularly botanicals of the spices which were produced/used during the spice trade such as cinnamon, cassia, cardamom, ginger, pepper, and turmeric . 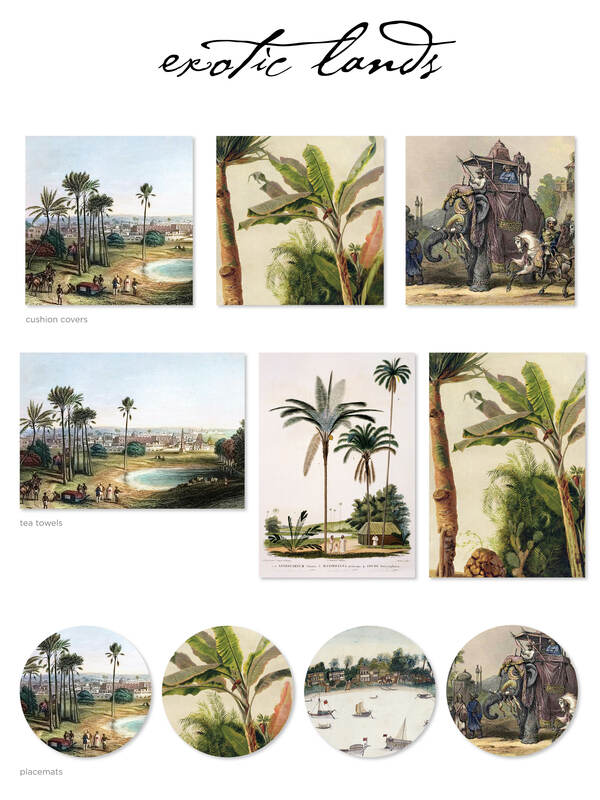 The second theme was exotic lands, places in Africa and Asia which were actively involved in the spice trade. 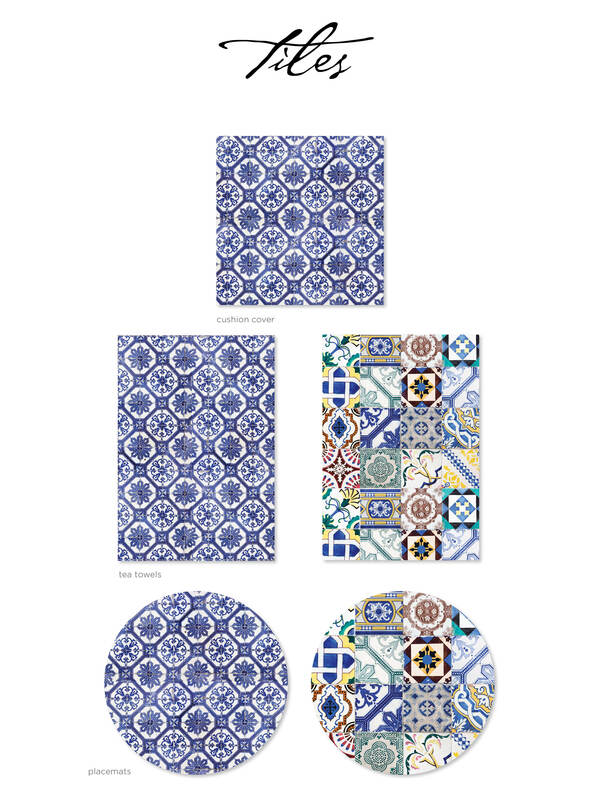 And the third theme was old-world hand painted tiles, mostly because we just love the look of them, and they tie in beautifully with the shop aesthetic, but they also compliment some of the beautiful hand painted tiles which you can find in and around the shop and farm. Unfortunately we didn’t have any time between the order being ready, and the shop opening, so we didn’t get a chance to shoot the individual products themselves. But I have put together some digital images of the products within their themes, and below you will find some photos of them and the shop. For those of you who haven’t had a chance to visit Spice Route, here is a little more information about it and the shop The Trading Company (isn’t their logo just the prettiest? ).